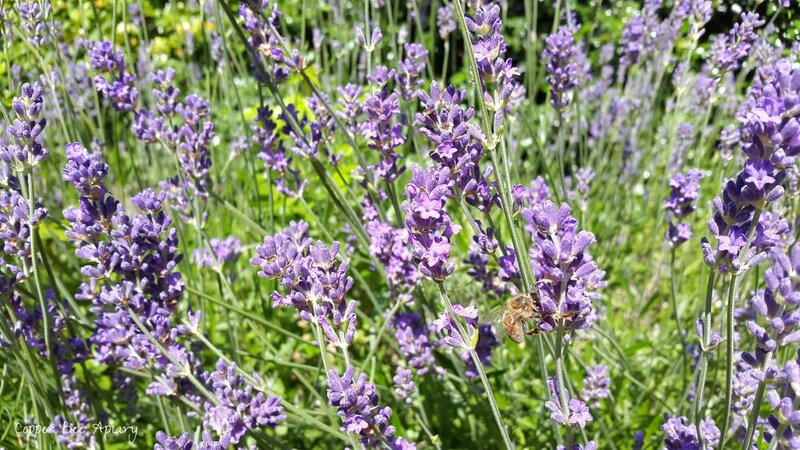 I went out after work to watch the bees on lavender. Making honey will be their priority for the next couple of months. The bees are less likely to swarm after the summer solstice, though I still have bait hives in place. From this point in the year onwards, I will also stop using queen excluders on the hives. I think the queen is unlikely to move up into the supers to lay, and the worker bees will be able to access the supers more easily.